There are many reasons why someone would make the decision to get Stump Grinding in NJ. Perhaps the tree is too old and rotting away, which can give off a putrid odor and attract insects or it's leaning toward your home runs the risk of eventually toppling causing damage or injury. After making the decision to remove a tree, you come with another decision to face: whether or not you want to remove the stump. Many homeowners will leave a stump on their property in order to reduce costs, but this is not always the better option for your lawn or pocket in the long run. Unlike a tree, a stump is not aesthetically pleasing. It can effect how you landscape your yard, young kids can trip over it and if you aren't paying attention it can ruin your lawn mower. Having a stump on your yard could also become a liability. Whether you have children or friends coming over, someone can trip and seriously injure themselves. This may be obvious, but leaving a stump contributes to new small trees growing around the stump. This can be unsightly to your landscape and even more costly to remove. If you have a garden, these smaller trees will be taking a lot of nutrients away from any flowers or produce you are trying to grow. It may also take chemicals to remove these smaller trees which can also harm your yard. 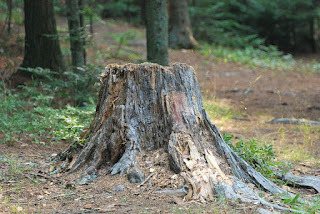 If you do not have a very large yard, a stump can take up a lot of space. This can prevent you from adding a patio, pool, BBQ area or play area for your children. You can significantly optimize your space by removing a tree stump. 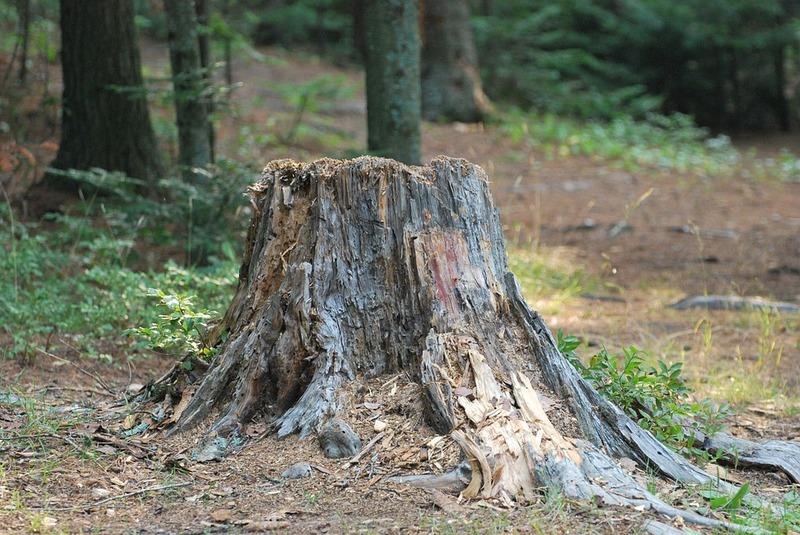 Lastly, a stump left to rot in your yard can decay and attract insects. Some may not see the significance of some insects outside your home, but they can eventually make their way inside through crevices and holes. Stump grinding in NJ can prevent the attraction of bugs and weeds, increases the value of your property and also enhances the health of surrounding vegetation. We make sure to grind stumps 8-12 inches below ground surface, as opposed to most other companies that only grind 2-4 inches deep and cause you to have to keep filling a small sink hole in your yard caused by the remainder of the stump that wasn't properly ground. Stump grinding is very dangerous if attempted by a non-professional. Please call our tree company in NJ for assistance with any type of tree stump removal or stump grinding that you need. 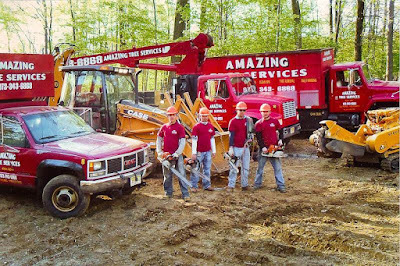 Contact Amazing Tree Services today for stump removal and/or stump grinding in NJ. A tree professional will be happy to assist you and answer any questions you may have about our tree services in NJ.